Product prices and availability are accurate as of 2019-04-21 19:10:11 UTC and are subject to change. Any price and availability information displayed on http://www.amazon.co.uk/ at the time of purchase will apply to the purchase of this product. 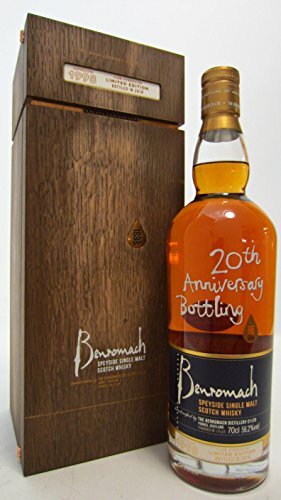 The Single Malt Whiskey Store are proud to offer the fantastic Benromach - 20th Anniversary - 1998 20 year old Whisky. With so many available these days, it is good to have a brand you can trust. The Benromach - 20th Anniversary - 1998 20 year old Whisky is certainly that and will be a great purchase. For this reduced price, the Benromach - 20th Anniversary - 1998 20 year old Whisky is highly respected and is a regular choice with lots of people. Benromach have added some great touches and this means great value for money. 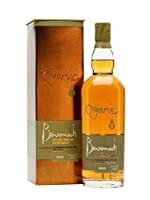 A limited edition Benromach released to mark the 20th anniversary of production under the Gordon & Macphail ownership. Distilled in 1998 and bottled in 2018 at 20 years old and at cask strength 56.2% ABV. Aged in first fill Ex-Sherry casks and individually numbered. Only 3000 bottles released and packaged in a bespoke wood box that is elegantly lined and comes with a beautifully written hardback book that tells the story of the release. Nose: Rich fruit cake, sweet demorera sugar and vanilla, underlying hints of zingy citrus and dark chocolate develop with a touch of warm spice. Palate: Delicious sweetness of stewed raisin and apple is wonderfully complemented by dark chocolate, notes of orange zest, toffee, ginger and liquorice follow, leading to a hint of smooth creaminess and lingering charred oak on the finish. Water brings out top notes of sweet vanilla, ripe pear and melon and luscious summer berries mingle with hints of butterscotch and citrus peel on the nose. Now again sip and enjoy a creamy sweetness combining with sherry influences and baked plum with traces of cinnamon, chocolate, apricot, orange and charred oak with subtle spice and a light touch of smoke on the finish.